Ontario Premier Doug Ford will not disavow a group of white nationalists who took a photo with him over the weekend at “Ford Fest,” even as the white nationalists use the photo for propaganda purposes to legitimize their views. 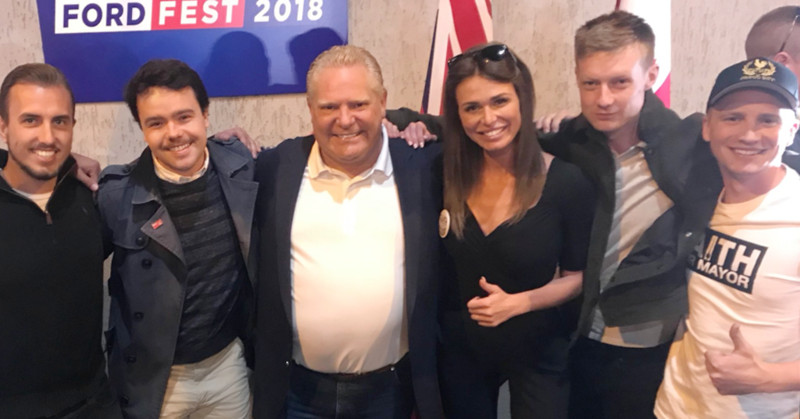 Over the weekend, Ford appeared in a photo with a group of white nationalists led by fringe mayoral candidate Faith Goldy, a former Rebel Media contributor who was fired from the far-right website after she appeared on a neo-Nazi podcast. Appearing alongside Goldy and Ford in the controversial photo are several volunteers on Goldy’s campaign. One of Goldy’s volunteers is the host of an alt-right podcast who stated he supports white supremacist values in an episode published earlier this month. 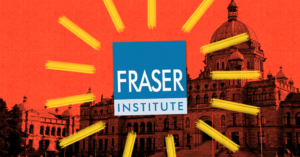 He is also affiliated with ID Canada, the Canadian branch of Generation Identity, described as a “neo-fascist” and “white nationalist” group operating in Europe that is working to establish a presence in North America. Another Goldy volunteer is a British national who extensively shares alt-right media and promotes UKIP, a far-right party based in Britain. A third volunteer appears in the photo with Ford wearing a hat emblazoned with the logo of the Proud Boys, described by the Southern Poverty Law Centre as an “alt-right fight club” known to instigate riots and hold violent rallies. But when Ford was asked to disavow Goldy and her alt-right entourage during Question Period on Monday, Ford refused to do so even though the photo is now being used online to suggest Ford is sympathetic to their cause. 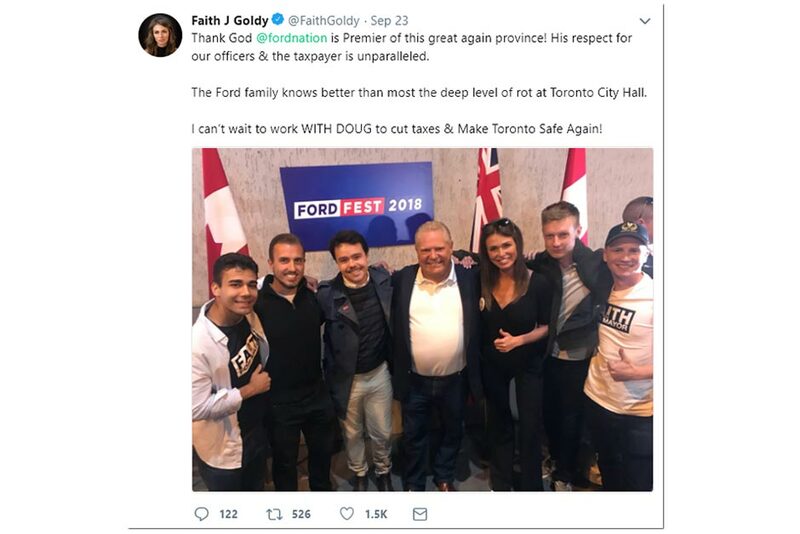 “Faith Goldy, a far-right candidate for Toronto mayor with ties to neo-Nazi groups posted a picture on social media of the Premier posing for a picture with her and her supporters, to which she added ‘Faith Nation is Ford Nation’,” NDP MPP Jill Andrew told Queen’s Park. It’s highly unlikely Ford did not recognize the controversial mayoral candidate. 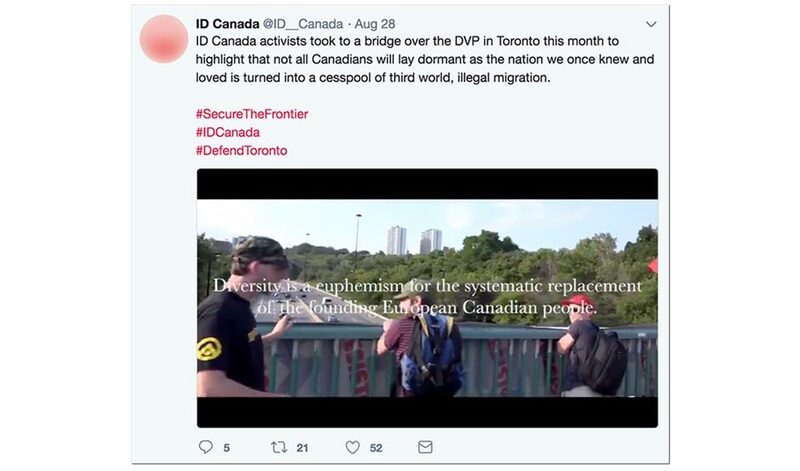 Meanwhile, Goldy’s relationship with the neo-fascist ID Canada appears to run deeper than relying on the group for volunteers. The Anti-Racist Canada Collective points out Goldy’s “official” online store appears to be selling t-shirts for $25 under a Shopify account that appears to be operated by the neo-fascist youth group. The ARC Collective has documented how ownership and contact information contained on the online store’s terms of service and refund policy pages bear the names of ID Canada and an e-mail address connected to ID Canada’s website. 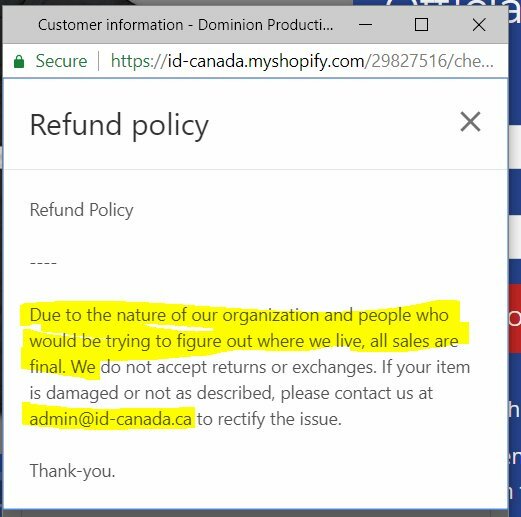 Shortly after ARC Collective published its findings, Goldy’s online store changed most references to ID Canada to “Dominion Productions,” a company which does not appear on Canada’s federal corporate registry. Goldy’s online store does not restrict sales beyond Ontario’s borders. It also does not indicate whether proceeds from t-shirt sales are considered a contribution to her campaign or if revenue is being funnelled to ID Canada itself. Despite the name change and attempt to scrub its record, the name of ID Canada still appears hiding in the fine print of Goldy’s “official” online store. The Ministry did not immediately respond to questions from PressProgress about an unregistered third party selling t-shirts on behalf of a candidate. In a Facebook post last month endorsing Goldy’s campaign for mayor, ID Canada encouraged its supporters to “order yourself an official t-shirt” through the same “official” online store ID Canada was operating. The Fraser Institute strikes again – this time, sending out press releases that don’t reflect the findings of their own report on British Columbia’s tax code.